Delhi and neighbouring areas recorded its worst air quality in the 'severe' category a day after Diwali. The Central Pollution Control Board has issued a notice to Noida district magistrate over the sale of unauthorised fire crackers despite a Supreme Court ban. Delhi and neighbouring areas recorded its worst air quality in the 'severe' category a day after Diwali. 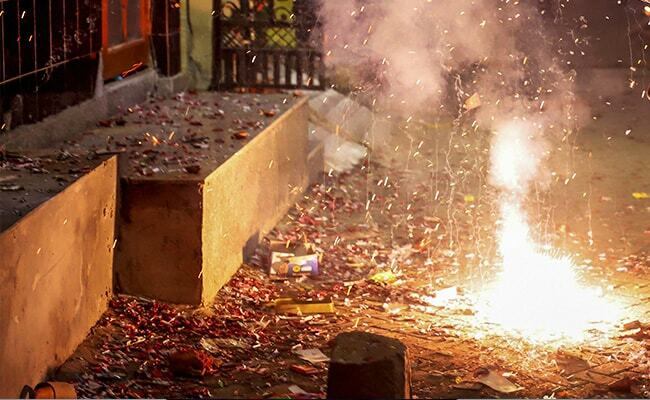 Authorities attributed the spike in pollution level to burning of toxic fire crackers. In a letter, CPCB chairperson S P Singh Parihar said it had been reported that fire crackers other than those permitted by the apex court were sold and burst on Diwali in Gautam Buddh Nagar district. "The above status indicates non-compliance of the Supreme Court order," the letter said. "Direction is hereby issued to district magistrate to submit report on action taken to prevent sale of unauthorised fire crackers in Gautam Buddh district along with reason for non-compliance of the Supreme Court order," it said. The pollution control board has sought the report within seven days. The Gautam Buddh Nagar administration asked the city magistrates of Noida and Greater Noida along with all police station heads (SHOs) in the district to submit their action taken report within a week. The Supreme Court had in a recent ruling allowed people to burst firecrackers from 8 pm to 10 pm only on Diwali and other festivals. It also allowed the manufacture and sale of just "green crackers" with low-emission of light, sound and harmful chemicals. But despite the court order, certain places recorded violations wherein firecrackers were burnt before and after the set time frame. "As per the Supreme Court order, the strict implementation of the order is the responsibility of the SHO, city magistrate and deputy collector. In this situation, you are directed to report by November 12 what steps did you take to ensure action against violators of the court's order and under Section 5 of the Environment (Protection) Act, 1986," District Magistrate Brajesh Narain Singh said in the letter. He also asked the officials to ensure the implementation of the court order, added the letter, a copy of which was sent to district police chief, SHOs and administration officials.